“The Kai Po Che! world premiere, held on Feb 13th is at one the largest and most prestigious venues Berlin International Film Festival, has already created a strong connect with the NRI audiences! The massive auditorium that seats 2,000 people saw a packed house with the entire crew in full force. 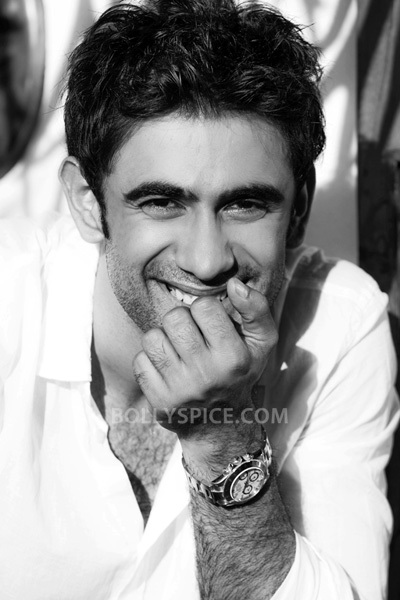 Quips Amit Sadh from the cast, who plays Omi, a character that sees the actor getting due appreciation in a strong second half “I feel very fortunate to play Omi and I like his character graph and the way Gattu (Abhishek Kapoor) has done justice. I love the way the story has been adapted. The story is about three guys who are diverse yet the best of friends. It’s very similar to real life where we all have unique friends but that’s what connects us to them”. Amit’s character has connected well with the audiences and has opened up the debutant actor to be cast by premier league directors. For Amit who has made one of the smoothest transitions from television to films, this is the next step towards a successful innings in Hindi cinema. The actor’s effortless portrayal of Omi, has the audience reconnecting with the charm and innocence that had first made him a household name. The actor’s character goes through a wide vary of emotions through the film is looking forward to the Indian audience feedback.Till then he is happy with the positive feedback at Berlin. Kai Po Che! a big screen adaptation of Chetan Bagat’s bestseller ‘The 3 Mistakes of My Life’ is releasing on 22nd Feb 2013. 17 queries in 0.532 seconds.